It’s not fair to say that the region of Ilida has a history; it is history. Located in the western part of the Peloponnese, the area is world-famous for its archaeological significance. 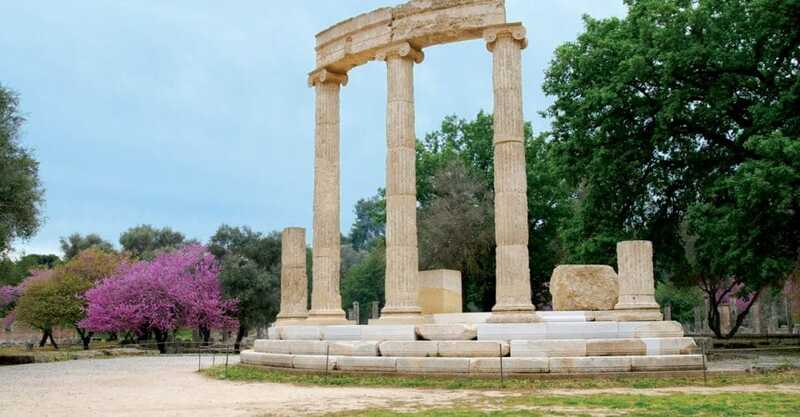 Olympia is filled with historical marvels and architectural gems: the site of Ancient Olympia, the Byzantine monastery, the Frankish castle, ancient monuments, temples, etc. Visitors will be dazzled by this backdrop of startling beauty –mountains, beaches, never-ending fields and a spectacular azure coastline. Ancient Ilida was built on the north banks of the Peneus River, between the mountainous part and the coastal lowlands. The city was inhabited almost continuously from the beginning of the Middle Palaeolithic up until the Early Byzantine period. It was considered an important cultural centre of the Peloponnese, and the capital of Ilia prefecture. This well-organised city of the ancient world was also the host city of the Olympic Games for more than a thousand years. Visitors to the archaeological site will be able to see the ancient marketplace (agora), the very well-preserved theatre, the village, the citadel as well as the cemeteries. THE MYTHICAL "CAVE OF THE LAKES"
At an absolute height of 827m, this cave is a rare creation of nature. Apart from its strange stalactite formations and labyrinth of corridors, this cave has a string of 13 cascading lakes forming three different levels. But it is not only that which makes it unique: human and animal relics dating from the Neolithic era were found there. The cave is, in fact, an old subterranean river with natural waterfalls that partly dries up in the summer months, revealing stone basins and dams of up to 4m. high. The developed part of the cave is currently 500 meters long. 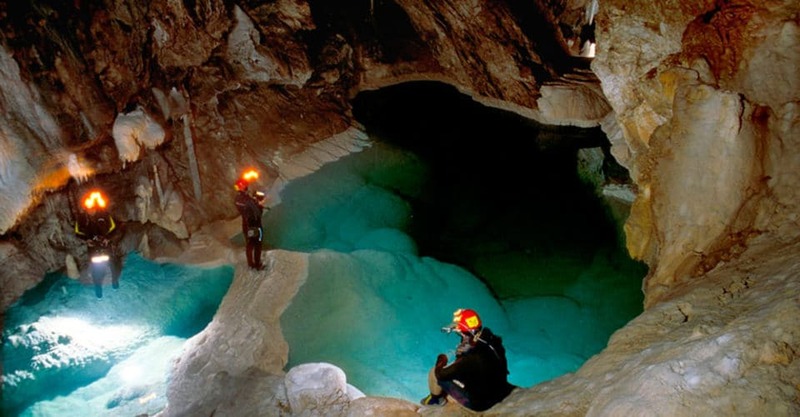 Cave of the Lakes is located at a distance of 17 km from Kalavryta and 9 km from Kleitoria. The Palace of Nestor was an important administrative, political and financial centre of Mycenaean Messenia. It was built in the 13th century BC by King Nestor, son of Peleus, who participated in the Trojan War with 90 ships that made Pylos the second largest city in the Mycenaean world after Mycenae itself. 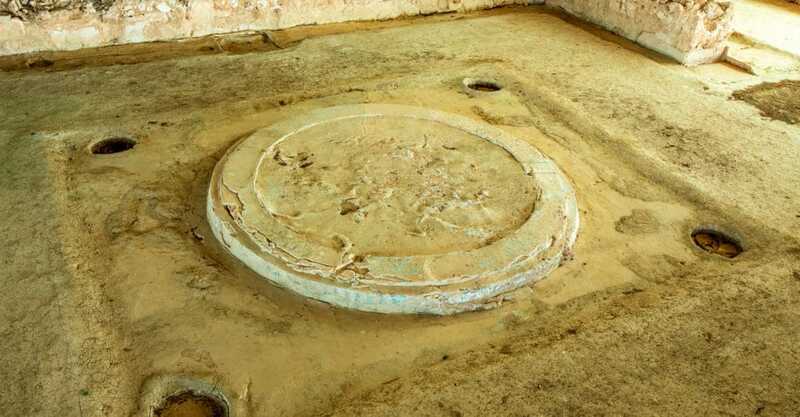 The site, which recovered stone walls, frescoes, pottery and 1,000 Linear B tablets during excavations in 1939, is the best preserved Mycenaean Greek palace discovered. The site is situated on a hill, 17km north of Pylos. Arcadia takes its name from the mythological figure Arcas, son of Zeus and Callisto, who was both the country’s greatest hunter and the region’s king. It was also known as the homeland of god Pan who, according to Greek mythology, was the god of the wild, shepherds and flocks, mountain wilds, fields, groves, valleys and rustic music. During ancient times, while the rest of the people of the Peloponnese lived in cities and led an urban life, Arcadians—who lived in the middle of the Peloponnesian peninsula, far from sea—led a simple, shepherd life. That was the reason why Arcadia was considered to be an unspoilt, harmonious wilderness; a land of freedom. This was also supported by the famous painting by Nicolas Poussin, one of the greatest classical artists of French Baroque. In his painting “ “Et in Arcadia ego” (translated into «Even in Arcadia, there am I»), the word Arcadia was connotation for a land of utopia. Corinth derives its name from ancient Corinth which was totally destroyed by an earthquake in 1858. This led to the establishment of Nea or New Corinth on the coast of the Gulf of Corinth, 3km to the west. New Corinth was rebuilt after a further earthquake in 1928 and again in 1933 after a great fire. 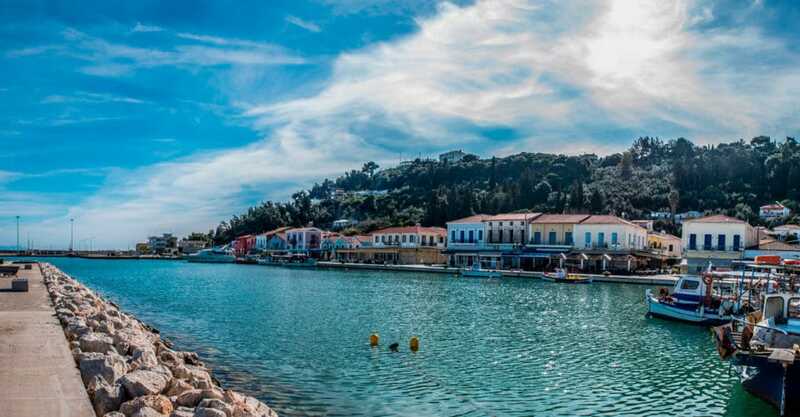 Corinth’s landmark is the Corinth Canal that connects the Peloponnesian peninsula to the Greek mainland, carrying ship traffic between the western Mediterranean Sea and the Aegean. Its construction started in 1881 but did not finish until 1893, due to the canal’s narrowness, navigational problems and periodic closures to repair landslips from its steep walls. 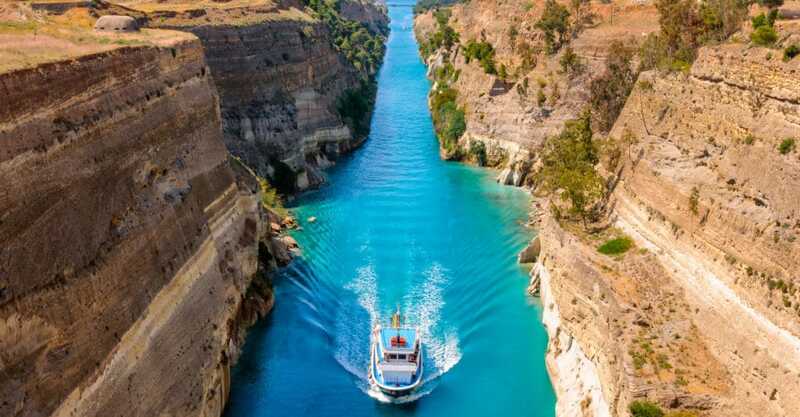 The Corinth Canal is 6.4 km long and only 21 meters wide. Argolida, Argolis in ancient Greek, is part of the region of Peloponnese situated in the eastern part of the peninsula and part of the tripoint area of Argolis, Arcadia and Corinthia. The region of Argolida is blessed with history and landmarks, showcasing dozens of important monuments from antiquity and onwards. 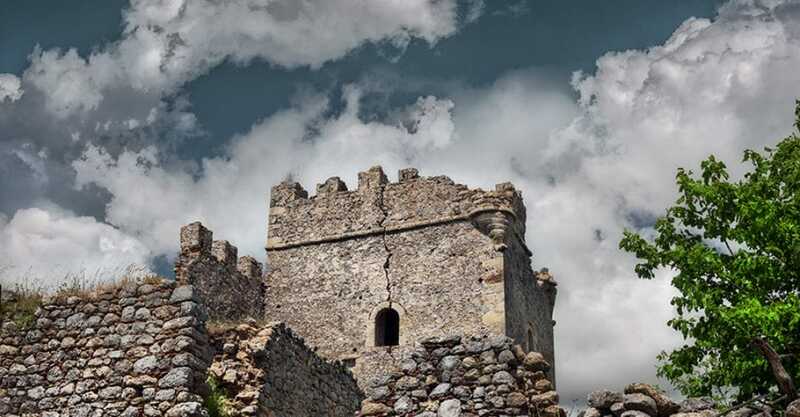 Visit the famous Lion Gate at the Bronze Age citadel of Mycenae, tour the city of Nafplio which was the first capital of Greece and go up the 913 winding steps to the fortress, or visit the ancient theatre of Epidaurus designed in the 4th cent. BC, marvelled for its exceptional acoustics that permits perfect intelligibility of unamplified spoken word to all 14,000 spectators. Laconia, also known as Lacedaemonia during the Byzantine years, is located in the south-eastern part of the Peloponnesian peninsula. 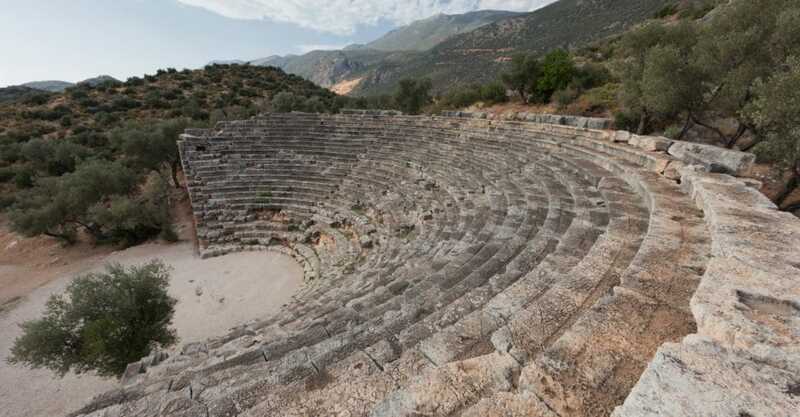 The history of Laconia is linked to the foundation of Sparta–the capital city–in the 11th cent. BC. Sparta which was the town of Menelaus and his wife Helen of Troy, became one of the most prominent cities of Greece following her victory during the Peloponnesian War. Did you know that: the word «laconic» is derived from the name of the region by analogy—to speak in a concise way, as the Spartans were reputed by the Athenians to do. 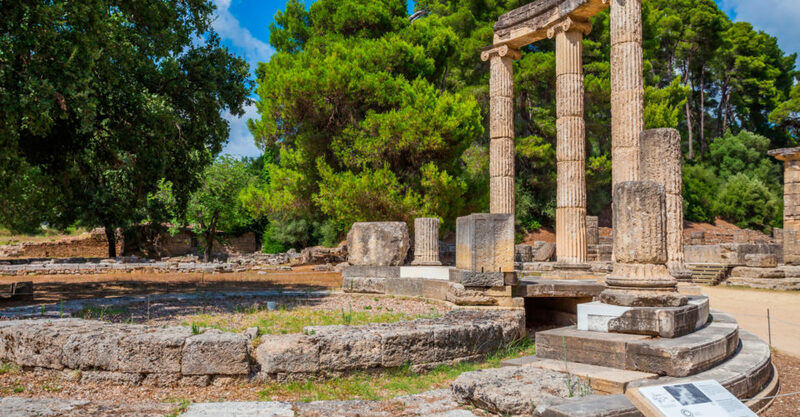 One of the most famous attractions of Greece is Ancient Olympia located in Ilia on the Peloponnesian peninsula. That was a sanctuary of ancient Greeks and the site of the Olympic Games in antiquity. The site enclosed various buildings, i.e. impressive Temples built in honour of the Gods, the altar of sacrifices, the Gymnasium, the Stoa, the Palaestra, the workshop of famous sculptor Pheidias, etc., not to mention the gigantic ivory and gold statue of Zeus–named one of the Seven Wonders of Ancient times. 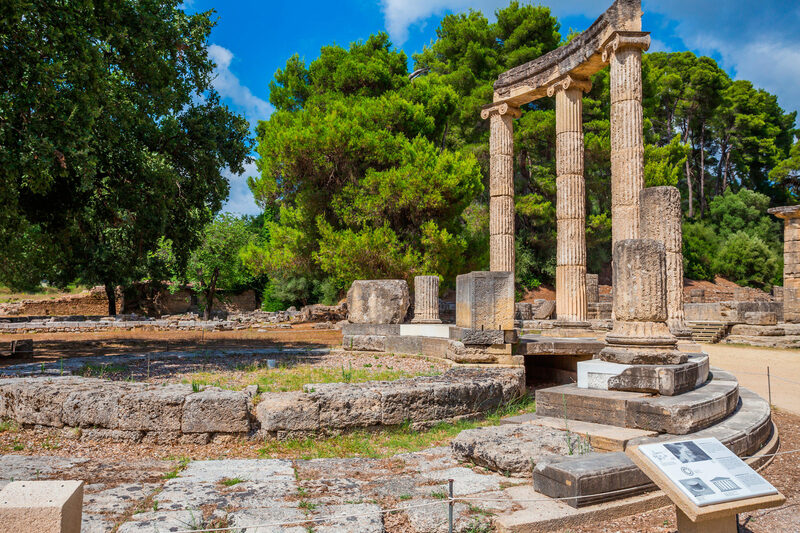 A walk along the ancient Olympic Stadium will mentally transport you to the first Olympic games held in 776 BC. 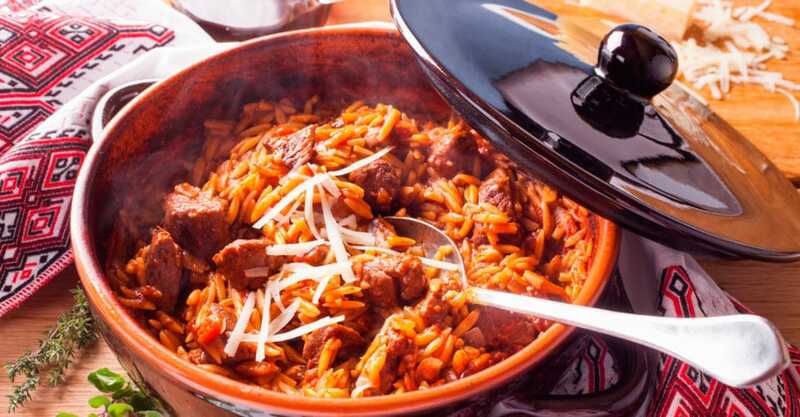 The cuisine of Peloponnese is uniquely diverse and exciting, with local flavours being as abundant as its nature. With olive oil as its trademark, local cuisine boasts its rich agricultural production—citrus fruit, eggplants, artichokes, onions, black-eyed peas, tomatoes—and their byproducts—grapes, wines, raisins and vinegar. But the true flavours of delight emerge when local cuisine makes use of its fresh fish, pork, roosters, rabbits, salt cod, quail and cured meat. The capital of Ilia, Pyrgos, has a large shopping market with new and old shops. Some of the oldest ones have been operating for more than a century, like the Distillery Koutifari with its fine ouzo, brandy and liqueurs in every possible flavour. 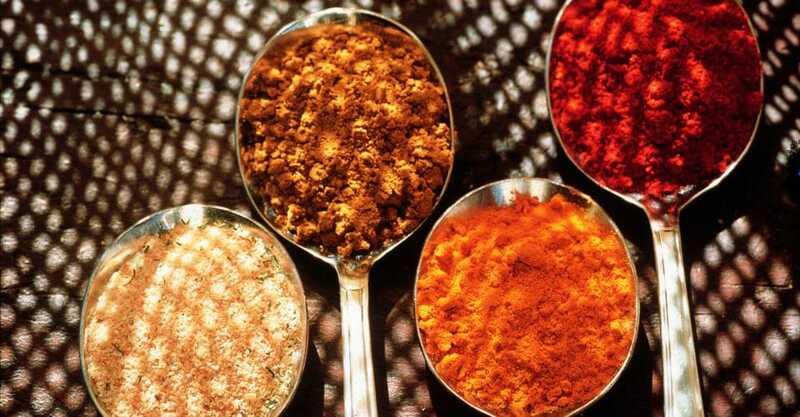 In Pyrgos, apart from your usual clothing and cosmetics shops, you can find antique shops, shops that sell unique spices and herbs, as well as a workshop—the last one of its kind—making horses accessories. Katakolon, a place that combines natural beauty and history, is a coastal town in western Ilia. Every year it attracts hundreds of cruise ships and visitors can enjoy attractions such as: Pontikokastro, the small village of Agios Andreas which in ancient times was the natural harbour for Ancient Olympia, the lighthouse built in 1865 at Cape villages, beautiful mountain trails, the scenic church of St. Nicholas, the Museum of Ancient Greek Technology and Greek musical instruments and games. At the entrance to the harbour, there are old warehouses recently restored and converted into cafes and taverns. 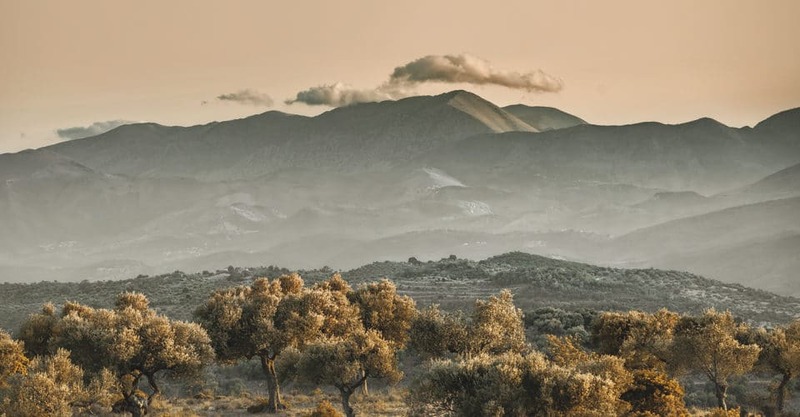 The natural landscape of Peloponnese has it all: a 1,200km coastline, dozens of mountains with an altitude above 1,000m, forests, lakes, rivers, waterfalls, caves, valleys; you name it. There are countless challenges for adventure lovers; from hiking and climbing to diving, and hundreds of excellent beaches for swimming. The peninsula of Peloponnese is packed with beautiful lacy golden shores and beaches of perfect white sand and tranquil emerald waters.